The quickest and most comfortable way to travel to Dubrovnik is to fly. Beside regular flights to and from Dubrovnik there are also airline companies that offer cheap seasonal charter flights to Dubrovnik and other destinations within Croatia. 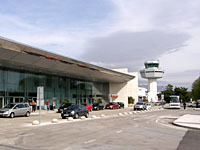 Dubrovnik Airport is located in Čilipi, 22 km south from Old Town Dubrovnik. 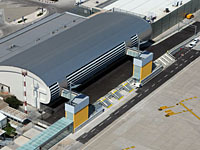 Shuttle buses meet all scheduled flights at Dubrovnik Airport for a transfer to Dubrovnik's bus station or Old Town Dubrovnik. Timetables for the Airport Shuttle Bus transfers, including Real Time Flight Tracker & Airport Delays for Dubrovnik Airport can be found bellow.